In a small frying pan, toast nuts over low heat, shaking often, just until golden and fragrant. Set aside to cool. In a food processor, combine almonds, anchovy paste if using, garlic and butter olive oil, pulse until smooth. Mix in Extra Virgin Olive Oil and then white balsamic vinegar. Mix in cilantro and red pepper flakes (if using). Spoon sauce around each wedge of Whole Roasted Cauliflower. To roast peppers: remove core and seeds from peppers and slice. Lay on a baking sheet and preheat the broiler in your oven. Place under the broiler skin-side up until skins are completely charred and black- this took about 10 minutes. Just check every 2 minutes or so. Immediately remove peppers from oven and using kitchen tongs, quickly place them in a Ziploc bag then seal it. Set aside for 20-30 minutes. Remove peppers from the bag and peel the skin off to discard. It is okay if a little bit of char remains as it adds to the flavor. Add the chickpeas to the bowl of your food processor and blend until they are pureed. Add the tahini, honey and jalapeno, and blend until combined, scraping down the sides if needed. Stream in the olive oil with the processor running and continue to blend until the hummus is smooth. Add the salt and pepper, blend a bit more. With the processor running, stream in the ice water and blend until smooth. Serve with tortilla chips. Place oven rack in upper portion of oven, 5 inches from the heat. Preheat broiler. Take a large, cast-iron skillet and spread an even layer of Fontina cubes along the pan. Drizzle olive oil on top. 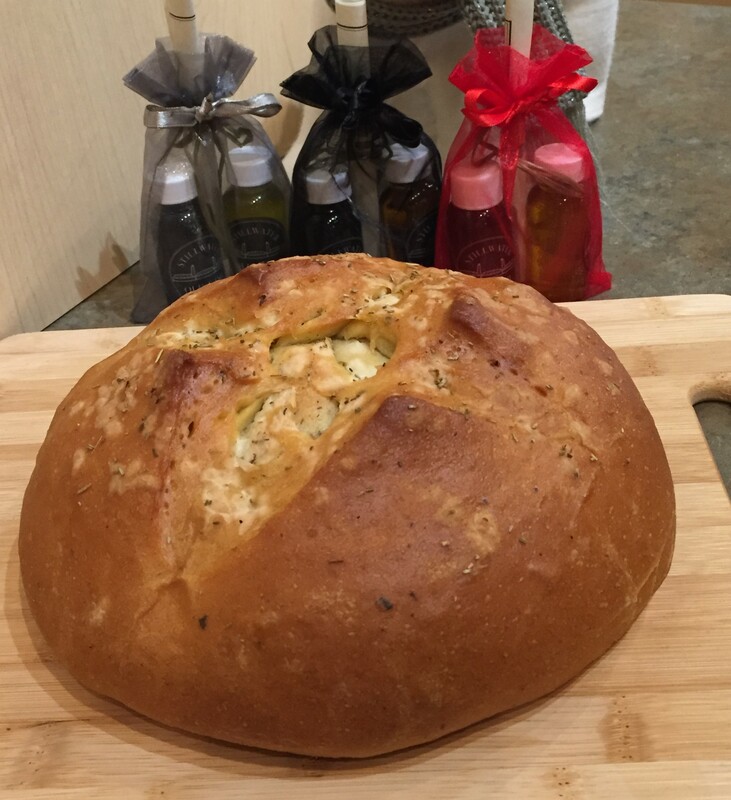 Sprinkle garlic, rosemary, thyme, salt and pepper over the top. Place in oven and bake for 5-6 minutes, until cheese is bubbly and starting to brown. Pay close attention because it is easy for cheese to burn. Remove from oven and serve immediately from skillet. Dipping slices directly into the cheese. Be careful because the skillet and cheese are really hot. Drain and rinse the black beans, and place in a large bowl. Add fresh or thawed corn, red pepper, red onion, cilantro, jalapeno peppers, Olive Oil, lime juice and salt. Slice the tomatoes in half. Dice the avocados and chop the cilantro. 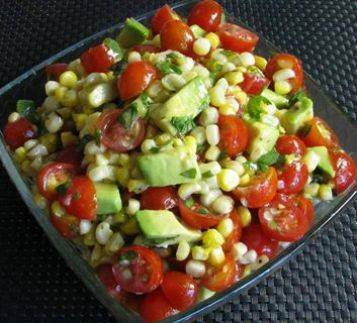 Combine the sliced tomatoes, avocado, cilantro, corn and honey-lime dressing and mix gently so everything is evenly coated. Be careful not to mash the avocados. Let the salad sit for 10-15 minutes to let the flavors mingle. Can use as a dip with chips.